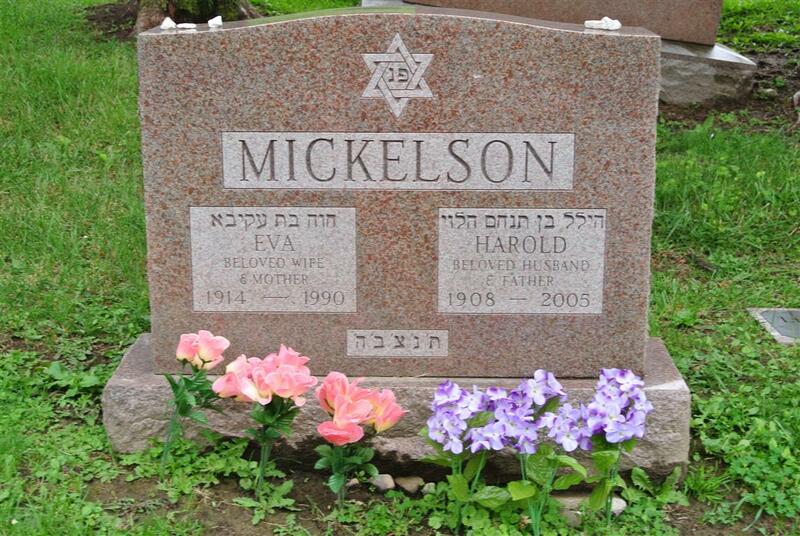 November 15, 2005 Harold Mickelson, 97, passed away Tuesday, a life resident of Syracuse. Harold was a talented craftsman and worked for Lincoln Supply. He was a devoted husband and father who always was there for family and friends. He is survived by two daughters, Phyllis (Richard) Shamus of Latham, NY and Rosalind (Hal) Menter of Schenectady, NY; son, Joseph (Jo Ann) Mitchell of Brewerton; a sister, Mildred Siegel of Syracuse; six grandchildren; four great-grandchildren. Funeral services will be Thursday afternoon at 2 p.m. at the Ginsburg Maloff Funeral Home, Dewitt. Burial to follow in Frumah Packard Cemetery. Ginsburg Maloff Funeral Home serving the Jewish Families of CNY whose needs have changed but values have not. Jan Maloff Funeral Director.